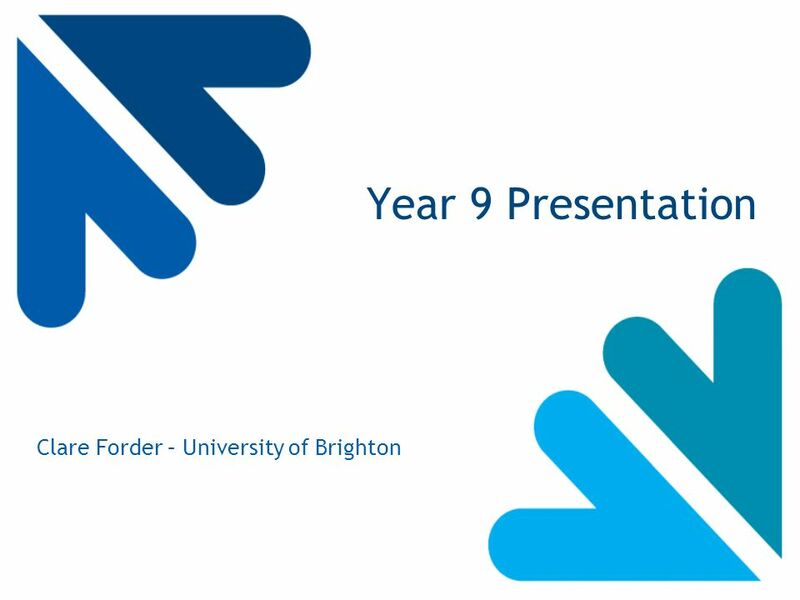 Year 9 Presentation Clare Forder – University of Brighton. 7 Answer……. 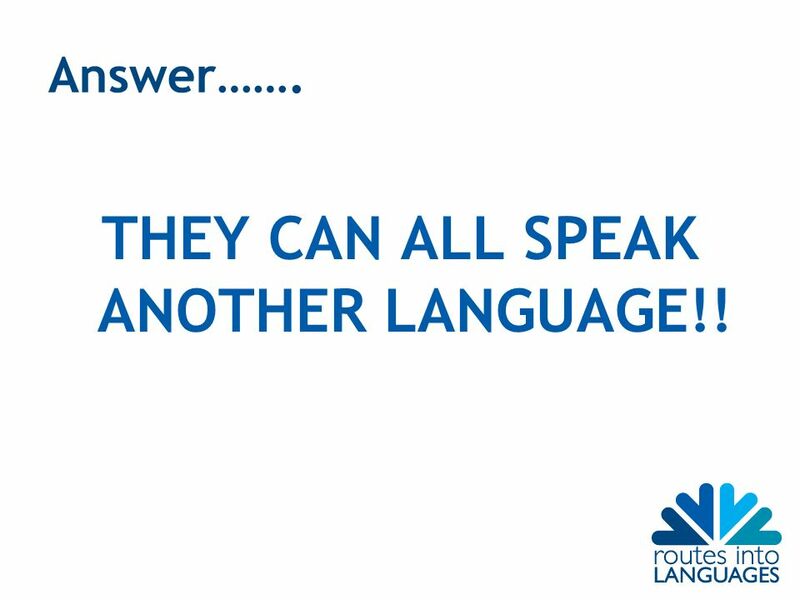 THEY CAN ALL SPEAK ANOTHER LANGUAGE!! 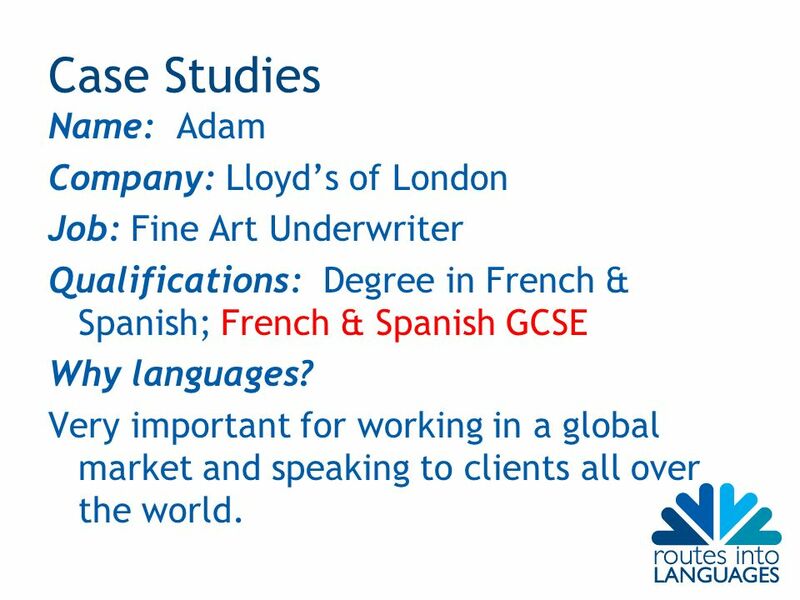 11 Case Studies Name: Adam Company: Lloyds of London Job: Fine Art Underwriter Qualifications: Degree in French & Spanish; French & Spanish GCSE Why languages? 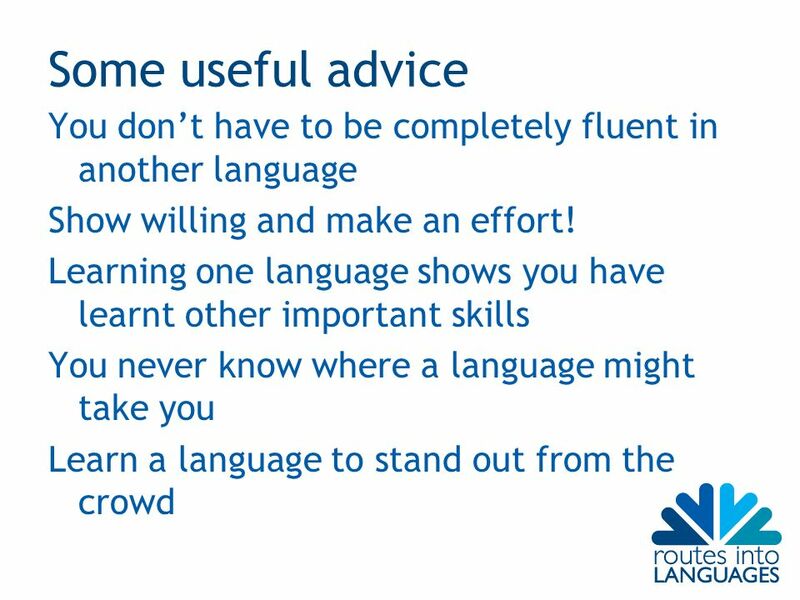 Very important for working in a global market and speaking to clients all over the world. 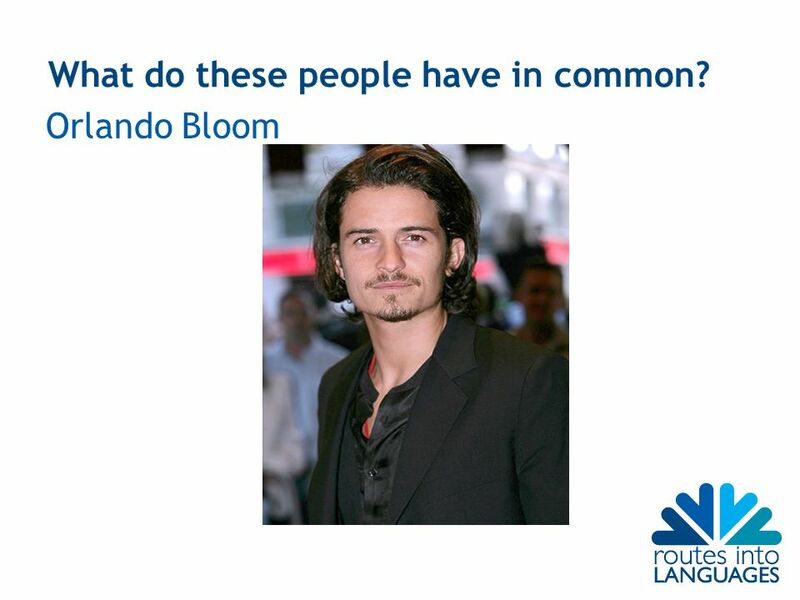 Download ppt "Year 9 Presentation Clare Forder – University of Brighton." 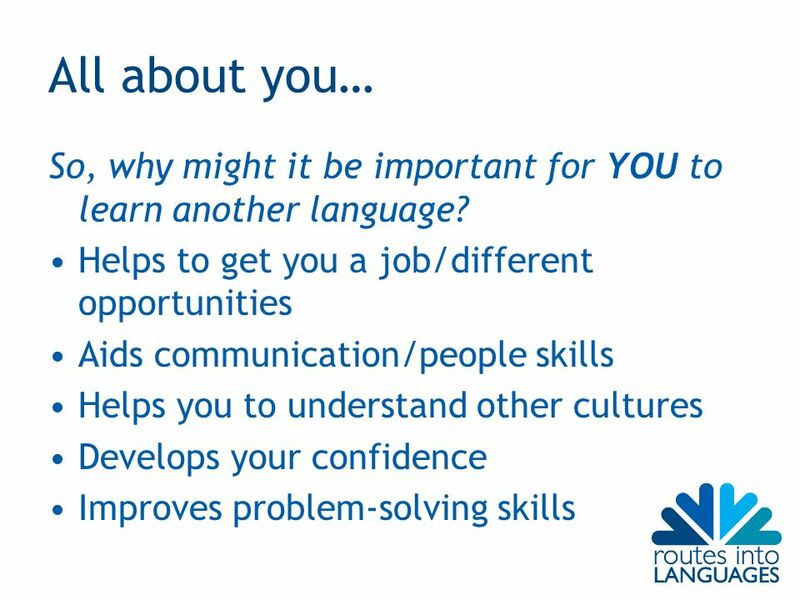 WHY CHOSE A LANGUAGE AT GCSE? LInKSDeutsch 2002 Germany is colourful. LInKSDeutsch 2002 Everyone speaks English? 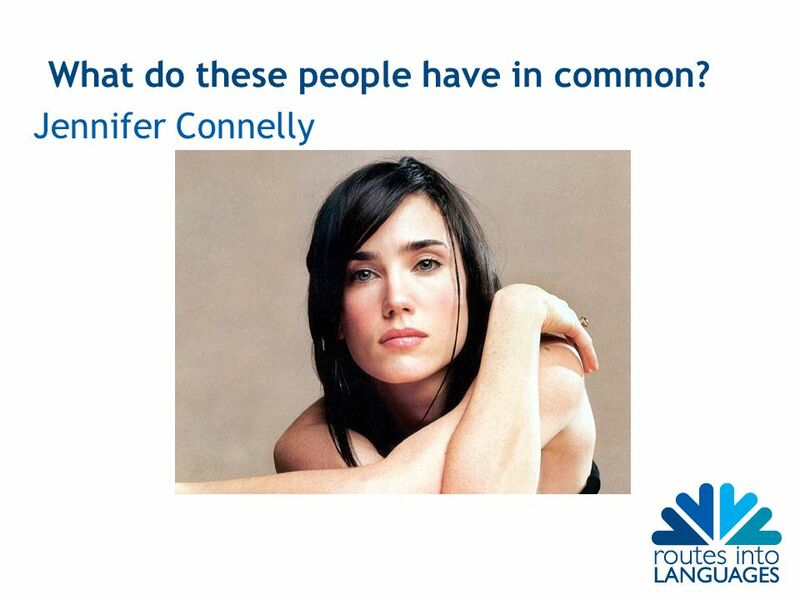 75% of the worlds population do not speak English. Welcome to Central! 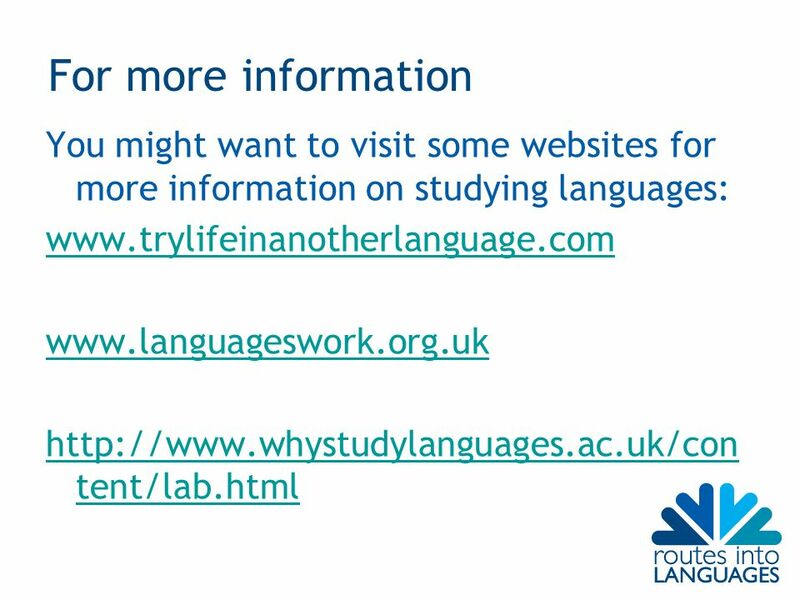 Department of World Languages. TRANSITION YEAR PROGRAMME. LORETO SECONDARY SCHOOL 2014 / 2015. Get Involved - Get Rewarded Find out more at: Employability Points Scheme What is the EP Scheme? 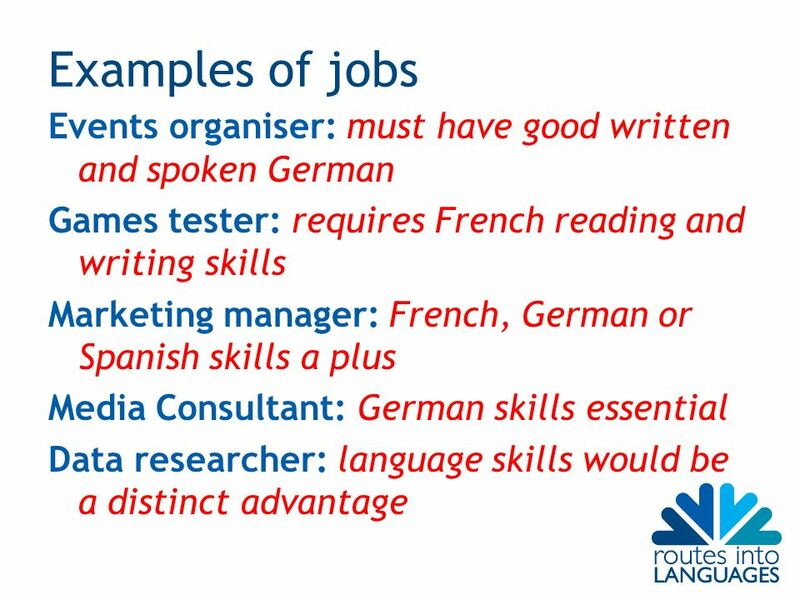 The Employability. Eve Goff Taylor DIFFERENT JOBS IN MEDIA WITHIN THE MIDLAND AND THERE SALARY PROGRESSION ROUTE. 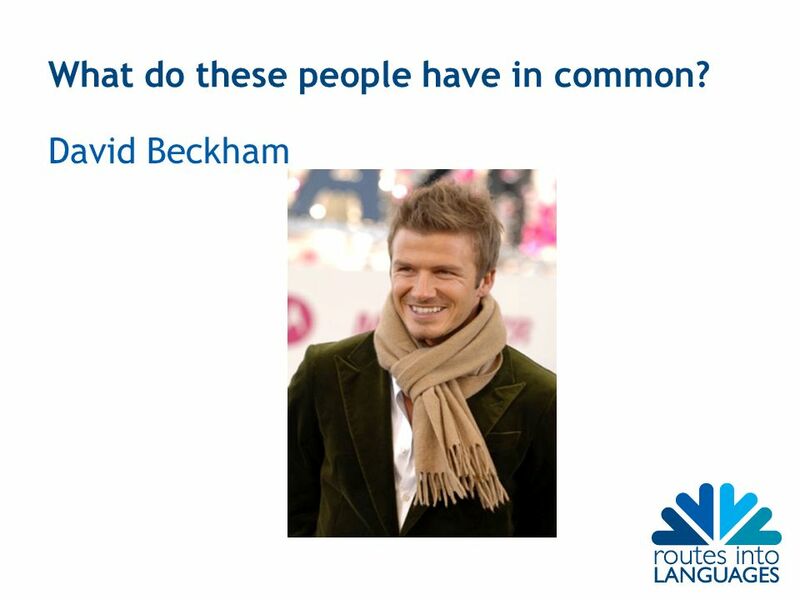 OPTION CHOICES CORE SUBJECTSLESSONS English (including English Literature)7 Mathematics7 Science (Biology, Chemistry and Physics)12 ICT (GCSE ICT)2. 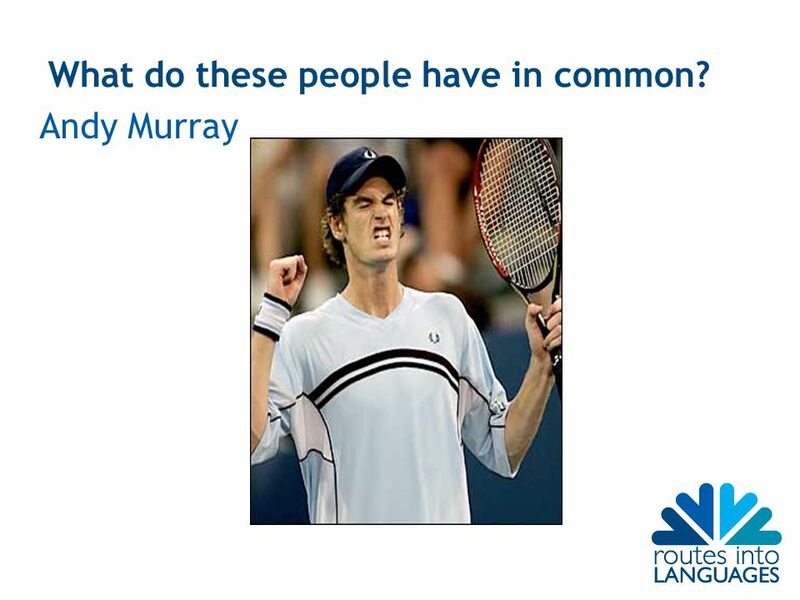 Study Pathways OUR CURRICULUM Lots of experiences in years Teaching methods focused on personalisation and progress. Pathways with a degree. European Day of Languages 26 September The European Year of Languages involves millions of people across 45 countries in activities to celebrate. 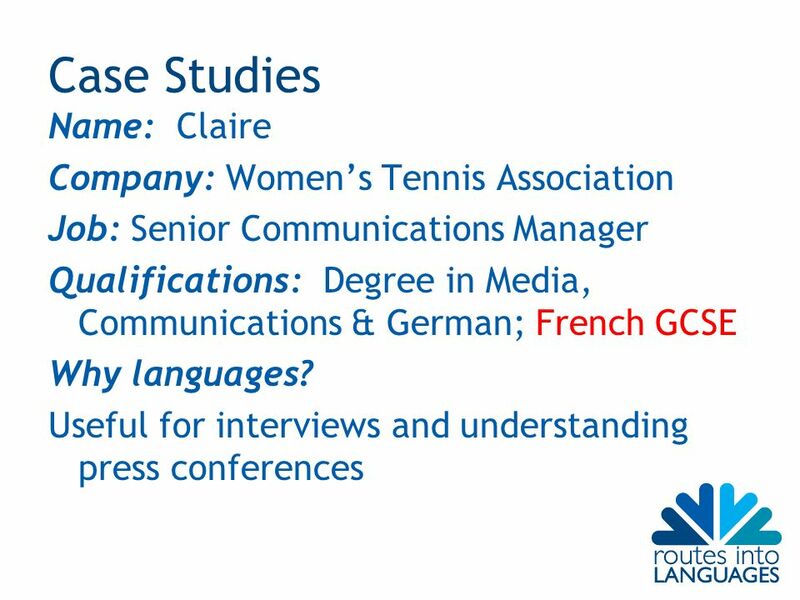  Step up from GCSE  SPEAKING EXAM – 30%  READING/WRITING/LISTENING EXAM – 70% (R:20%, W:30%, L:20%)  You get a personal session with a native speaker. What employers really want Jamie Armstrong & Chris Houldey 4 th November 2011 University of Leeds.